SureCreteâs Eco-Stain is a liquid-form semi-transparent concrete water based stain that puts you as the applicator head and shoulders above your competition. 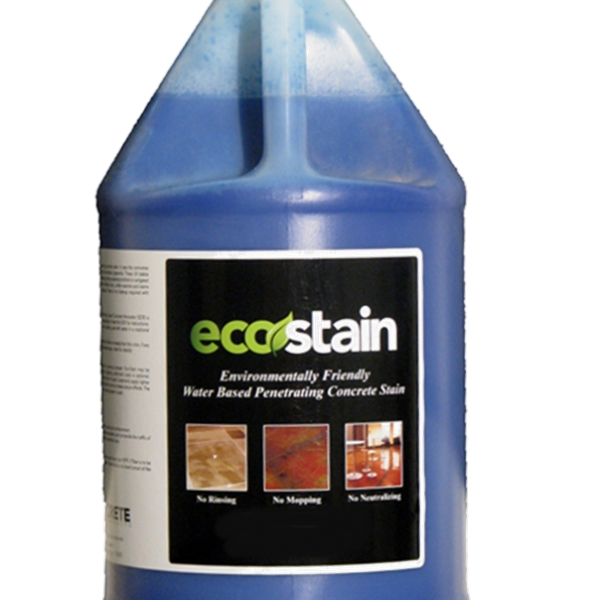 Unlike most concrete stains commonly used in the decorative concrete market today, Eco-Stain uses an eco-friendly; water-based formula that contains zero VOCâs and has no pungent chemical aroma. Semi-Transparent stain is not like painting concrete. So how does it work? 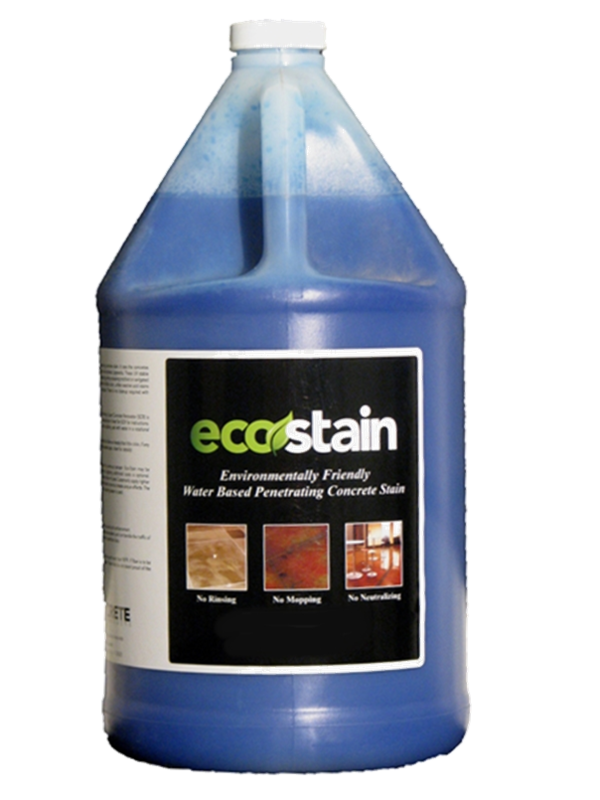 Unlike acid stains which perform a chemical reaction once in contact with the surface of the concrete in order to achieve their color, Eco-Stain for concrete floors is a penetrating concrete stain which gives much more control over the design and colors you may want to apply to your project. Giving you more control isnât the only benefit, though. Since it is a water-based solution, there is no need for any neutralization or clean-up! As soon as the product has been down long enough to be dry to the touch, youâre ready to seal! No in-between steps to slow you and your crew down!